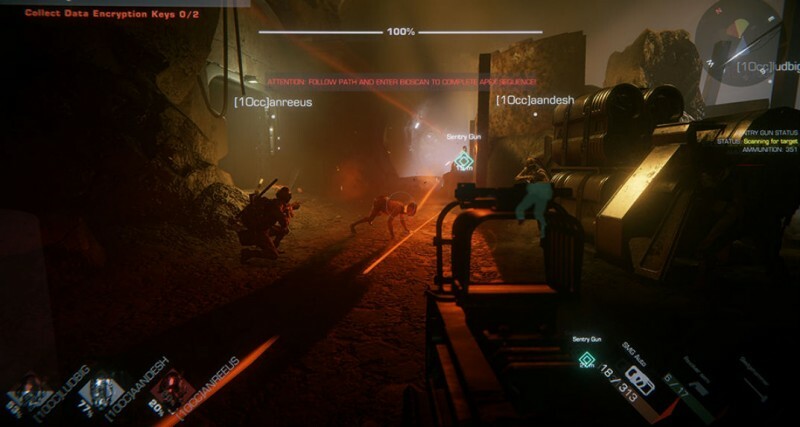 10 Chambers Collective, an indie Swedish company led by Payday developers, made waves last year when it revealed the horror-focused co-op game GTFO. The trailer was brief but got the message across: you and your friends work together to complete objectives while fending off nasty monsters. We haven't heard much about the game, developed on the Unity engine, since that trailer. However, today 10 Chambers Collective revealed some goopy screenshots that give you a good idea of the level of violence you can expect from the game, as well as a glimpse of a jellyfish-lookin' monster. Scroll down below to see all the screens. GTFO is due out this year and 10 Chambers Collective says that the game will be playable at E3. For more on GTFO, you can watch the reveal trailer here.